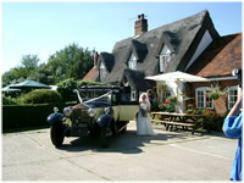 Why not visit the beautiful Essex countryside and enjoy a relaxing drink in good company at the Huntsman and Hounds. 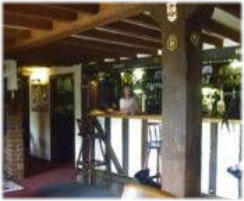 The pub is a magnificent example of a 16th century thatched country pub set in lovely gardens, and we boast an excellent selection of well kept beers, wines and lagers. Home cooked food is available 7 days a week, both lunchtimes and evenings. The landlord, Jim McGrane, always provides a friendly welcome, and can accommodate most requests including buffets and barbeques. To the rear of the pub is a 5.5 acre field with all the facilities required for special events, including wedding receptions where a marquee is available at very reasonable rates. With the addition of the wireless internet access you can use your WiFi enabled laptop to check email or surf the web, or even hold your business meeting in this relaxed atmosphere.